This post has been sponsored by Mars Wrigley Confectionery. All thoughts and opinions are my own. 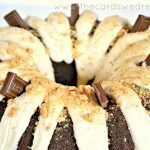 A little secret to any good dessert lies in the distinction between sweet and salty. 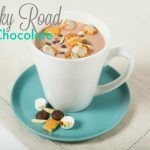 My family, like any good Midwestern family, loves sweet treats…some of our favorites being s’mores around a campfire or a bag of popcorn with M&M’S® candies poured over top. I was at Walgreens the other day shopping, and I stumbled across the new M&M’S® Chocolate Bars. I knew what I had to do. 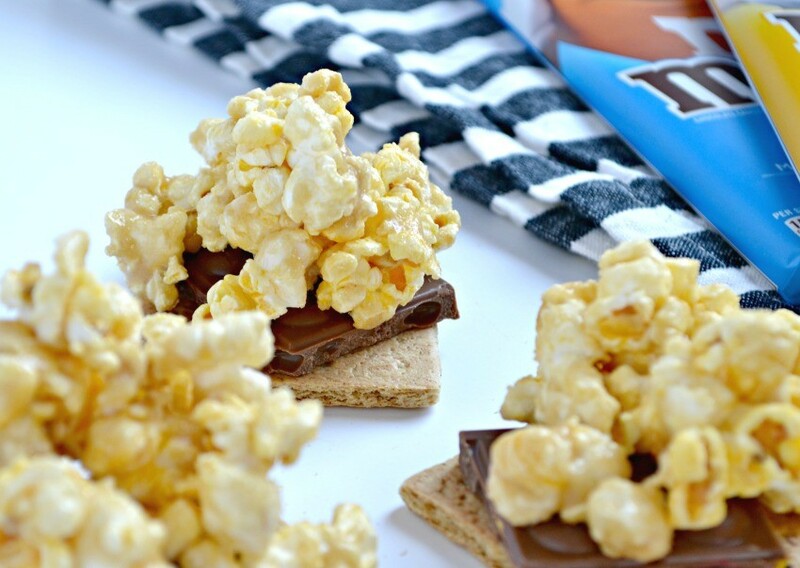 I had to combine our love for s’mores, popcorn, and M&M’S® chocolate into the perfect treat that my whole family will enjoy…an M&M’S® Chocolate Bar Popcorn S’more (say that 10x fast!). 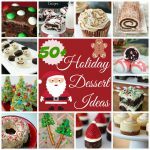 This sweet treat has all the yumminess of all your favorite goodies wrapped up into one. Delicious marshmallow popcorn has the sweet and salty flavors we love. The new M&M’S® Chocolate Bars are AMAZING with little pieces of M&M’S® candies inside the bars. 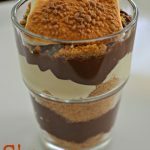 The graham crackers bring it all together (and literally hold it all together) with the perfect finish to this tasty treat!! 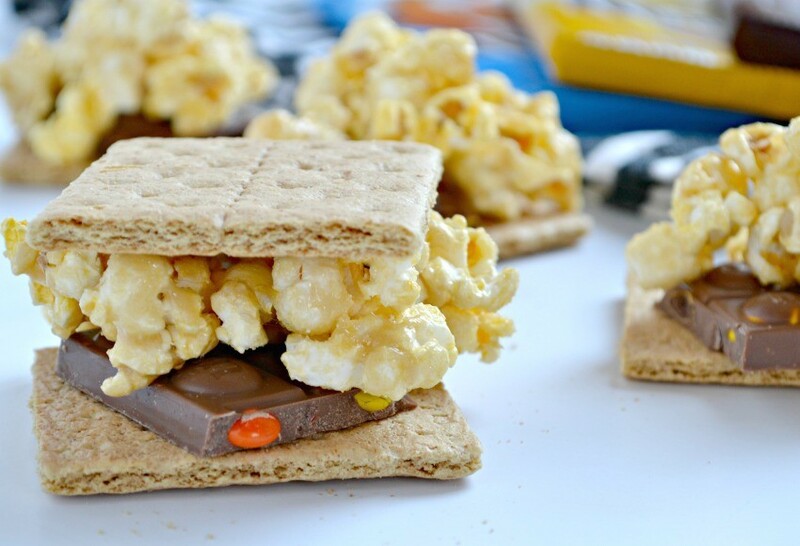 Pop your popcorn in the microwave, then place butter, brown sugar, and marshmallows in a separate bowl. Microwave the ingredients in 20 second intervals until combined, then pour over popcorn and gently fold over. 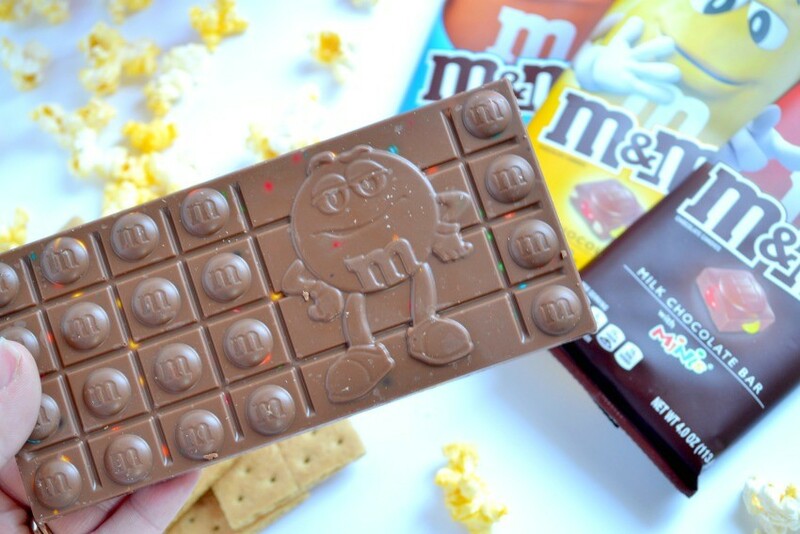 After your popcorn is made, gently break your M&M’S® Chocolate Bars into 2″ pieces (along the lines) and place on top of a graham cracker. 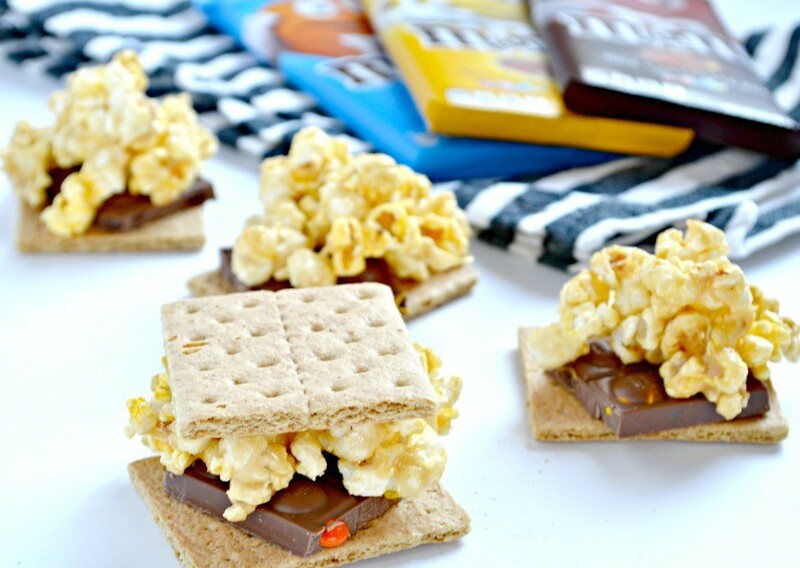 Top the M&M’S® Chocolate Bar with the Marshmallow Popcorn mixture, place another graham cracker on top, and enjoy!! If desired, you can place the s’mores on a cookie sheet in the oven for a minute, before you put the popcorn on them, in order to melt the chocolate just enough to be soft. 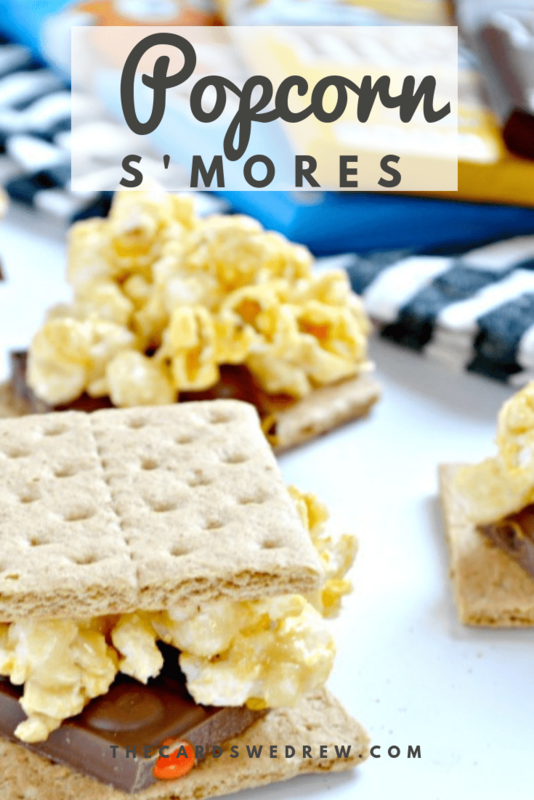 And of course, during the summertime, you can make these the old fashioned way over a fire, add the popcorn on top of the marshmallow, and enjoy the sweet and salty yumminess that way as well. I’m thrilled with these new M&M’S® Chocolate Bars. 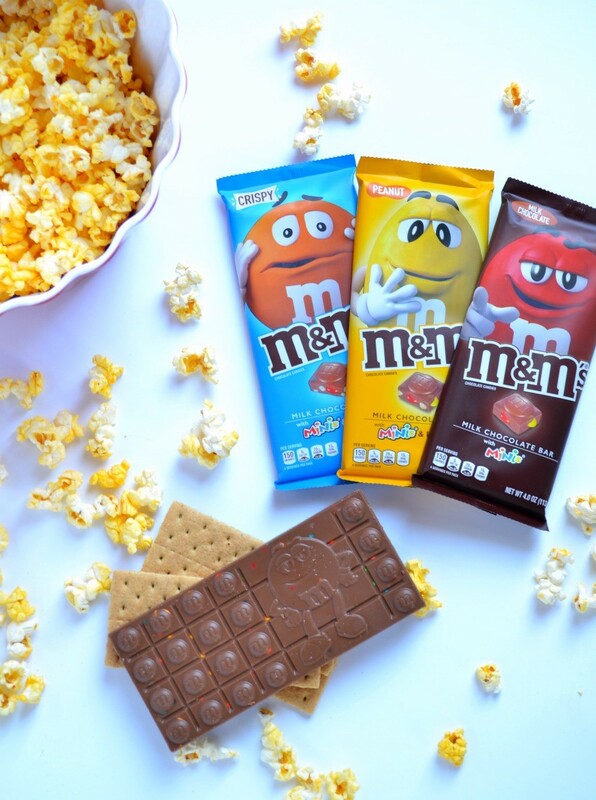 You can try new M&M’S® Chocolate Bars: available at your local Walgreens today.